Do your negative emotions control you? We'll do anything to avoid feeling icky. Like blaming, escaping and people-pleasing. News flash—your anger, fear or sadness persists till you own it! 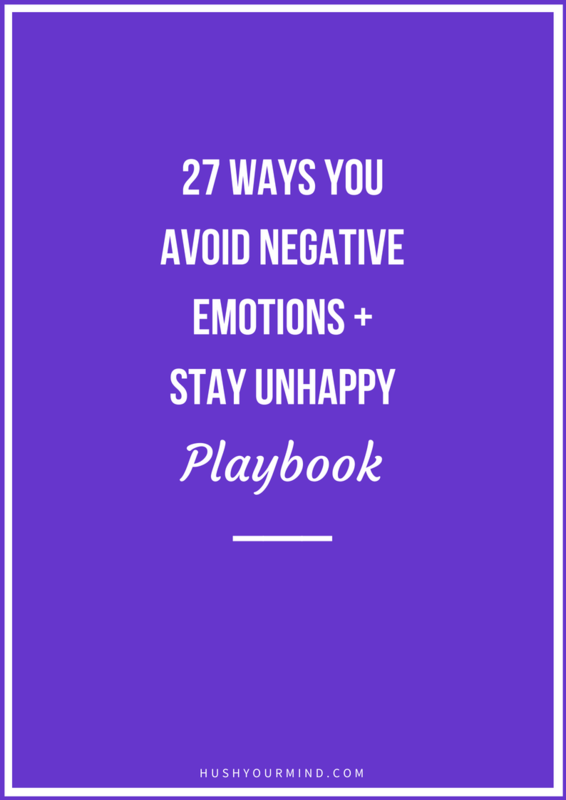 Spot 27 ways you avoid your negative emotions to gain control + accept your feelings. Subscribe to my twice-a-month newsletter + get your 9-page 27 Ways You Avoid Your Negative Emotions + Stay Unhappy Playbook.